Remember your high school computer theory class? 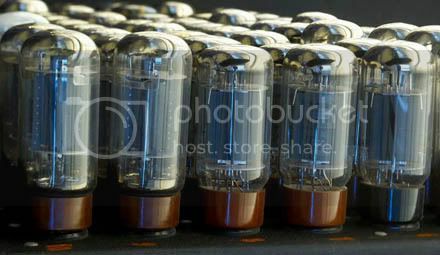 References to the “ancient” (in computer innovation time) machines which utilized vacuum tubes, drum memories, ferrite rings? Remember ENIAC, UNIVAC, EDVAC etc? If these terms bring back nostalgic memories of your high school computer course and the thoughts imagining what these machines looked like, then Core Memory is the book to refer. I attended my first BarCamp today held in Indian Institute of Management Bangalore. I wanted to be a part mainly of the Bloggers collective and the Photo(graphers) Collective, hoping to learn, mostly in the latter and more to give a talk in the former. The bloggers collective started of fairly decently but was delayed as people trickled in fairly slowly and almost everyone had a problem getting the WiFi to work on their laptops. But once that was done, the first talk on Podcasting took place. I was not interested much in that so I went around helping people configure their laptops to connect to the WLan. The next talk by Kishore Krishna (aka Kpowerinfinity) was on Widgets but due to some conflicts, it was delayed. So my talk on Blogging Platforms and setting up your own blog was advanced and his postponed to after mine. After my talk, I moved out from the bloggers collective to check out the other collective. I entered the Internet collective where a talk on MS Silverlight was just about to start. Not much interest there so I moved on to the Startups collective. That was in the fag end with the speak just starting to take questions so I left there too and went back to the bloggers collective. Kishore’s talk was just about over when I reached there and soon we all went for lunch. Immediately after lunch, the bloggers collective seemed to have disappeared with only a few visible from the earlier 40-50. So I held a discussion on micro-blogging (Twitter, Pownce, Jaiku) with a few of the interested attendees. After that, I discussed the various blogging platforms and what would be a good choice for a non-techie beginner blogger and set up an Livejournal account for her. That was the end of all blogging topics as the photography collective was having it’s first (and only meet for the day) where a lot of discussion went on and Amoghavarsha and Jace and few others. Learnt lots of basic tips and got a lot of information. There was a band jam happening later in the evening but having tired myself out earlier, I decided to skip that. Day two of the un-conference is tomorrow. Watch for a report about it tomorrow. Oh and I got a chance to meet Aaman and Deepti Lamba, the chief editors of Desicritics. That was really great. We discussed the upcoming changes to DC, the current happenings and how it is really growing as a community. That was really great.